Internet4U Kereskedelmi es Szolgaltato Kft. Acenet has been on the market for many years offering full range of hosting services from Shared to Dedicated. Their 99.9% uptime is a result of the strategy to deliver quality rather than quantity. Server hardware truly separates Acenet from the competition. cPanel and Fantastico are available at no additional charge. Here at Web Hosting Geeks, we take a lot of pride in brining you reviews and insights into some of the largest web hosting hosting companies in the business. It’s our shtick, and it’s something we very much enjoy bringing to your door. However, lately we’ve been making an effort to bring you more detailed looks at some of the smaller companies available on the Net. These are institutions whose services are on-par or better than the Big Boys, but who often are left unsung. Today’s offering is a Michigan-based company called Acenet. If you’ve never heard of Acenet, we can’t really blame you. Then again, that means that you’re not aware of the awesome features that they offer to their customers. 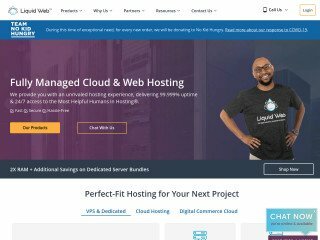 They’re a Michigan-based web hosting provider that offers a full-range of services to their clients, including shared hosting, reseller accounts, virtual servers and dedicated and managed servers. All in all, they cover the whole board and provide excellent features for their prices. Want a more detailed look at what we mean? For that, you need only to slide on down to the next subsection! Shared Hosting: First out of the box we have the company’s excellent Enterprise-ready shared hosting accounts.  These accounts are, of course, aimed at business use, but for the price they cost and for the features they provide, they’d be just as at home with personal use. With each and every account you’ll get unlimited hosting space, as well as bandwidth. On top of that, you’ll also have unlimited domains and subdomains. Throw into the mix MySQL databases, eMail accounts and FTP accounts, and you’ve got yourself one seriously good looking set of services. What’s the price on this bad boy? Believe it or not, you’ll only be paying $14.97 a month for it. If you go with the annual pricing setup, it’s even less, clocking in at $12.97 a month. The discounts go deeper the longer you commit to the services, but no matter how you slice it, Acenet just isn’t that expensive as a shared hosting provider. This makes it a whopping value in our eyes. Reseller Hosting: We’re absolutely tickled pink that Acenet offers reseller hosting, as the field is certainly one of our favorites to talk about and recommend. And with Acenet, it looks as though you’ll be getting quite a lot of features for one of the lowest rates that we’ve seen anywhere within the industry. At the lowest possible pricing ring, you’ll get 60 gigabytes of disk space and 600 gigabytes of bandwidth to work with. That’s quite a bit, and in addition to it, you’ll also have unlimited accounts, subdomains, MySQL databases, eMail accounts and FTP accounts. That’s a lot of value, and for only $29.95 a month, too. 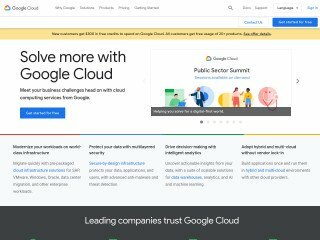 As with shared hosting, increasing the length of your agreement (as well as the amount of the services that you’ll be drawing) drastically decrease the price per pound, so to speak. All in all, Acenet is comparable to, if not better than almost any other reseller host that we know of. Virtual Private Servers: If you’re looking for a bit bigger kick in the pants than what you can obtain with shared hosting, you might aught to give the company’s VPS hosting a looking through. 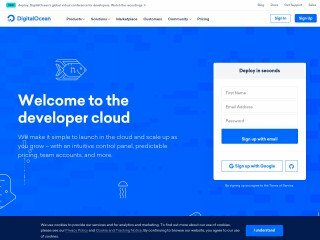 This method of hosting provides far more space and power for your money, and guarantees a much smoother end-user experience all the way around. For only $12.95 a month (a price that’s a fair bit cheaper than most others we’ve seen in the industry) you’ll get a quad-core CPU with TurboBoost, 10% of total CPU space, 200 gigabytes of free bandwidth, and 5 IPD addresses. The benefits only increase from there, but for the price, that’s a whopper of a deal. Dedicated Servers: No fancy patter here! 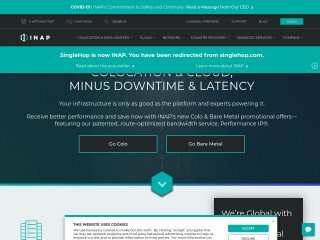 What you’ll get is pure, managed hosting with all of the benefits and all of the additional power. $139.95 a month will earn you 10 terabytes of bandwidth, as well as 1 terabyte of hard disk space. You’ll also get 16 gigabytes of RAM, and still for that same low price. Best of all, you can upgrade the hardware at any point in the future to meet increasing demand. Seems like a winner to us! Another reason to go with Acenet has to do with their available upgrades. If you’d like, you can easily tack on a spam firewall to any of their services. This is a great step towards protecting your data against malevolent attacks. Furthermore, you can dedicate an IP address to your account to increase the availability of what you offer. And at the end of it, you can also add SSL certification to your accounts to guarantee customer safety. All in all, these extras are just further reason to side with what Acenet is offering. All in all, Acenet seems to be a solid, small and cheaper way to go—no matter what your Web Hosting needs may be. They offer all of the features and services that we’d expect, and with price tags that meet us where our budget lies. Furthermore, they also offer the same quality support methods that we’d expect from a big-game hosting company, which makes them even more of a catch. We’ve not got many reviews to go by, but the overall consensus from our readers seems positive. But as much as we’d like to recommend Acenet whole heartedly, we’d first like to encourage you to check out some of our more highly recommended locations. 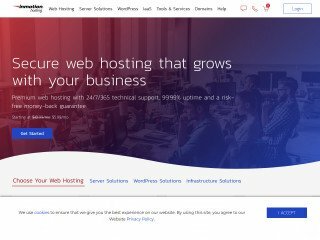 Web Hosting Hub and InMotion are two of our favorite solutions, and they’re always well-rated. If you haven’t looked into what they have to offer, we highly suggest you do before signing with Acenet. But if you do, let us know what you think in the comments below! We’re always looking for real, user reviews, and your thoughts may just help a future customer avoid headaches—or fall in love. Intel Xeon E3-1200 series $147.00 /mo. Dual Intel Xeon E5-2600 series $239.95 /mo. WHM 2016 Reseller $59.95 /mo. These LOSERS are the WORST of the WORST, I used them for years and ALWAYS had troubles and the server going offline.. just a nightmare.. they ALWAYS would tell me how I did something wrong..I had a script installed wrong.. again always an excuse on why my stuff was down.. then one day one of the techs there CALLED ME..and told me how they had the server configured wrong . never would I use these losers.. BUT WAIT..there's more.. so are you thinking about giving these scam artists your banking info..like a credit card >>LOL.. better look at the reviews again.. years after you stop using the nonservice do not be surprised when you get billed for hosting, or shook down for one last month.. AVOID AT ALL COST! I have an older plan I'm paying for which is supposed to have 500 GB of storage. That's what I signed up for. Somehow they downgraded what I signed up for to 32 GB of storage and now I have to downsize my website or move it because it is barely over 32 GB. Beware what you sign up for will not be what you end up with. They will change it on you. They are also the highest price hosting company I know. I would also question their antivirus and security on their servers I had a site get hacked and all files deleted and they didn't have a backup of my site. I had an older backup which worked. Someone else I know that is using Acenet got their site hacked twice in the same year. They had also moved one of my sites to another server and missed half the files, if I wouldn't have said anything I would have lost half of my files. Overall their customer service really isn't that friendly and they are tight with their web space for the price. There are way better hosting companies out there. Its all good having a really good server and host but if your customers can't get help when needed then its useless. This company don't care about their customers. you can't even contact them as they use a ticket support system thats based in india and no offence to the indians on the other end of the tickets but they don't seem to see that a textbook answer isn't always right. Check out the following review on this webhosting company. I couldn't have said it better myself: http://the-best-web-hosting- service.com/acenet-review/ Basically, this company is owned by a man who is okay with stealing people's money. They have scrupulous business practices that should be looked into by a governmental agency. The bbb which is not a governemental agency has deleted my claims twice even though I had legitimate proof that they kept my money when I was billed incorrectly. This is likely because they are members of the bbb and members will get their complaints deleted easily. Before signing up with this company (they are not as cheap as they seem at first glance), also take a look at their facebook page which now has a 1 star rating. I really don't know why they are still in business and why people still sign up with them. Run away fast! You've been warned!!! I am a software developer starting my own business. I had used AceNet (shared server) for several years as a map server for a video game... very simple stuff but it gave me an idea of their reliability. Reliability seems pretty good. I tried to stay with them for business stuff. I have worked in server support before, and I know the difference between good support and bad. Good support will look into issues and research before replying. Bad support will not look at anything, use delay tactics, try to sell you upgrades, and try to tell you things are not supported when they are. I had a server issue (an issue that was fixed after they finally fixed their own configuration). The error message was clear, but support did not look into anything... just told me lies and tried to sell upgrades. I guess they did not know they were talking to a knowledgeable tech. I am switching server hosts now. Acenet's tech support is second to none. Support like this is unheard of these days. They fix all my problems especially the tricky ones like setting up formmail scripts etc. Cheers guys. Thanks for you help over the years.